was that wrong? or is this the same and I'm just not seeing it? 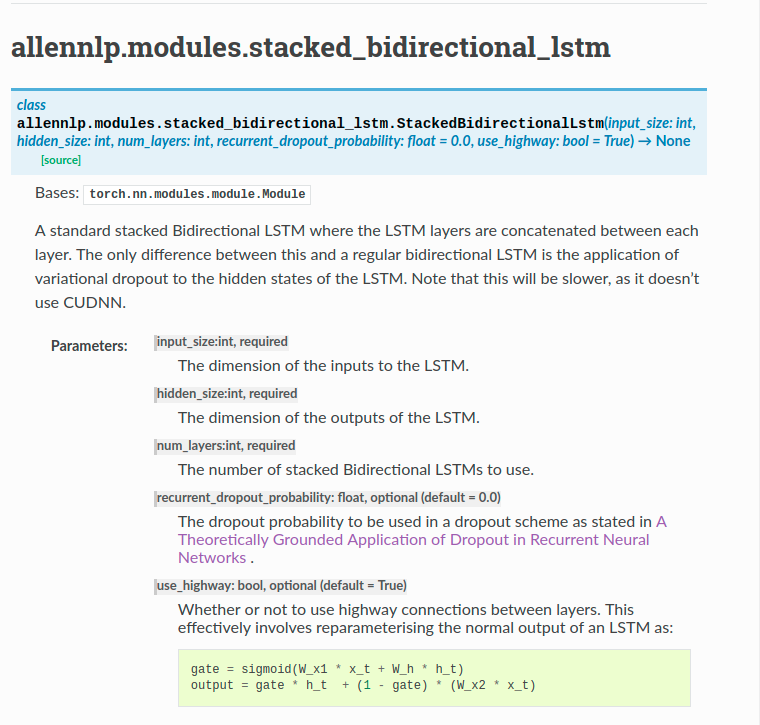 That is equivalent to the previous code, however that would not work with the Seq2Vec wrapper/interface as this module is Bi-Directional the final_h and final_c should be of shape (num_layers * num_directions, batch, hidden_size) which the code I have put in the pull request will be where as the previous code and your suggestion I believe would be of shape (num_layers, batch, hidden_size) the place that this would causes an error is in lines 104 to 109 in PytorchSeq2VecWrapper as the module has the bidirectional attribute therefore it would reshape the state incorrectly. Sorry I did not mention this problem in the issue or pull request.